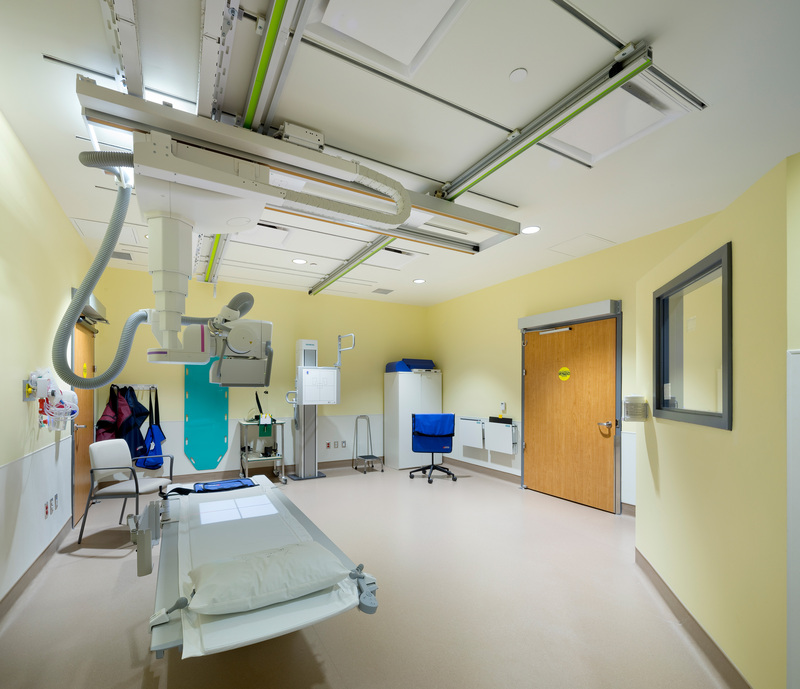 The Centre for Integrated Health and Wellness is a new 205,000 ft2 integrated outpatient care facility designed to promote healthy living, support disease management and reduce emergency department backlog. 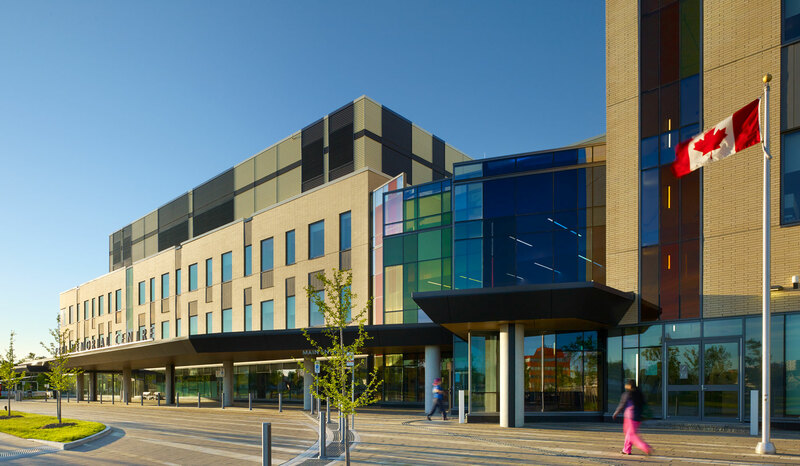 It accommodates a wide range of programs and services, including centres for rehabilitation, seniors’ wellness, mental health and addictions treatment, and urgent care, classrooms for health education and disease prevention, a day surgery-procedures unit and a series of ambulatory care clinics. 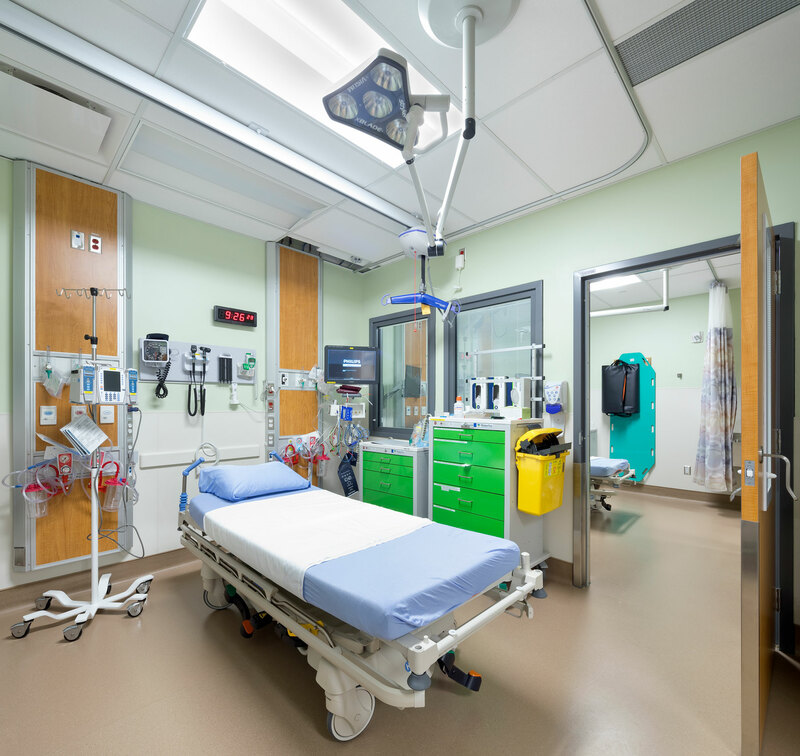 LEAN strategies were implemented to optimize travel distances, work-flow, operational efficiency, service distribution, care delivery, customer satisfaction, universal accessibility, wayfinding and life-cycle costs. 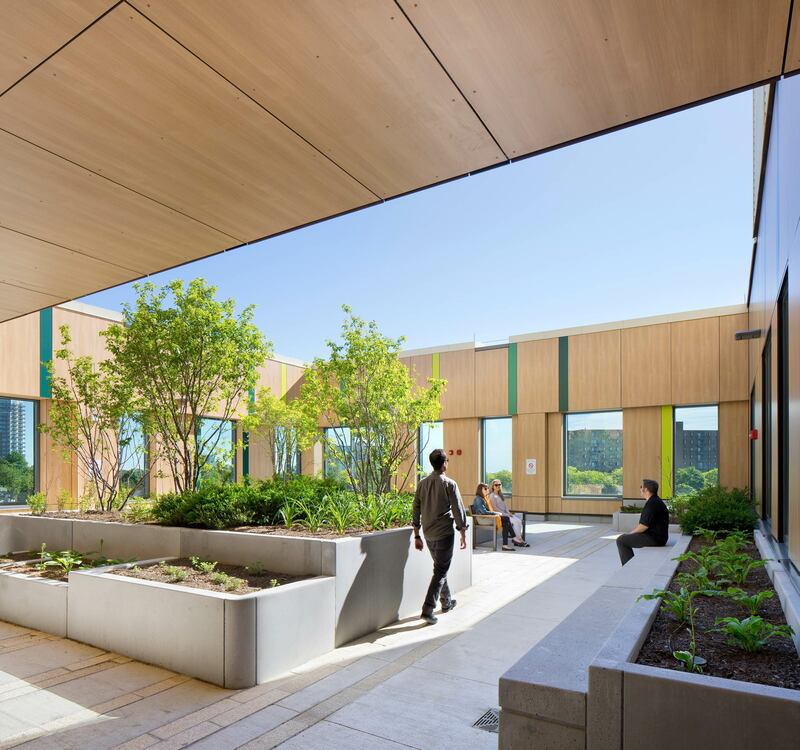 Specific design features such as ample daylight access, generous outdoor courtyards and attractive green roofs also function to improve patient recovery and workplace wellness. 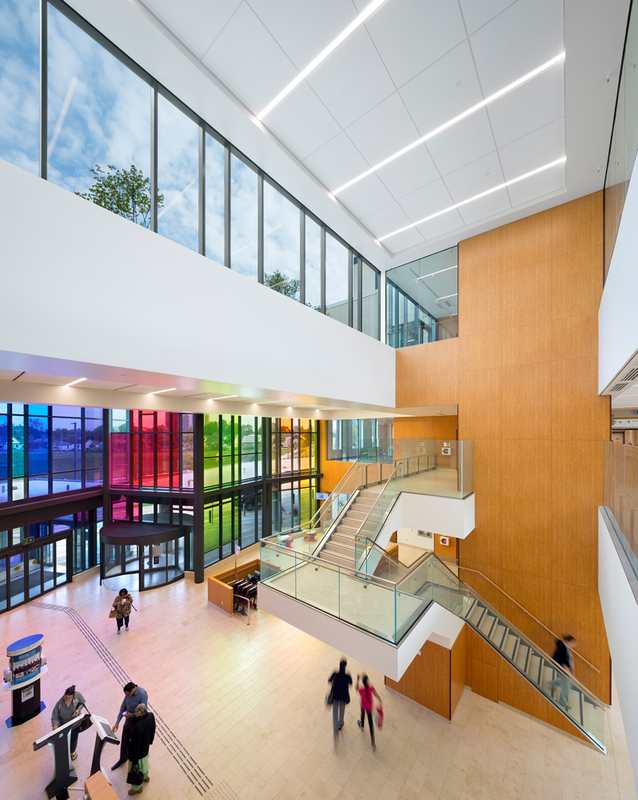 In lieu of William Osler’s commitment to sustainability, Peel Memorial boasts an impressive balance of active and passive systems including geo-thermal fields, photovoltaic panels and a dedicated outdoor air system. 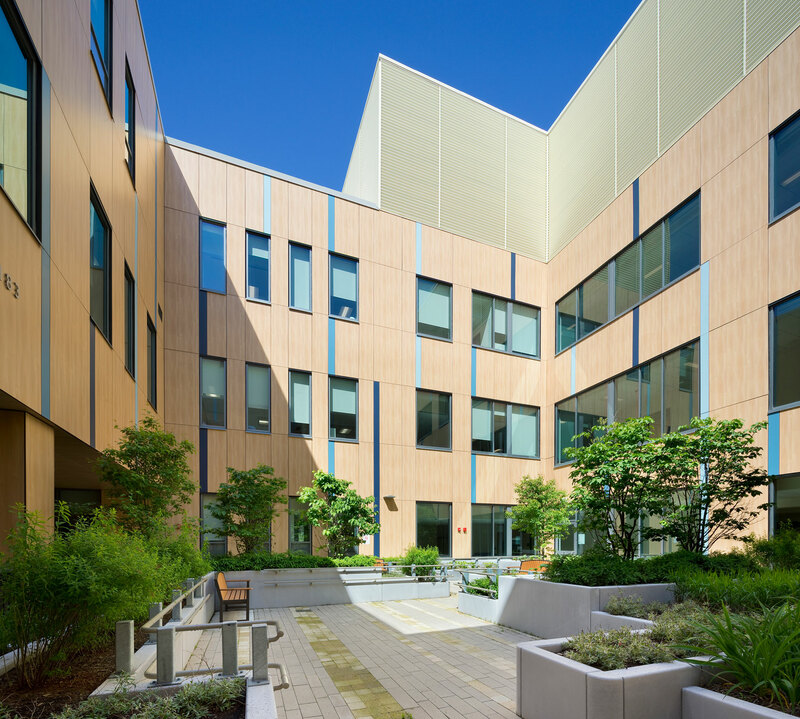 The Centre is designed to achieve LEED Silver Certification. 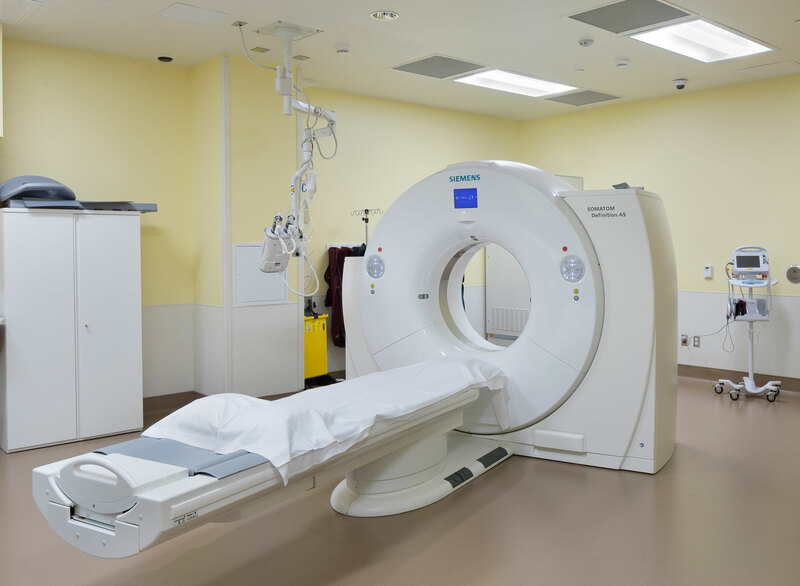 Together with CannonDesign, Montgomery Sisam served as Planning, Design and Compliance Architects for this P3 healthcare project. An integral part of the PDC role was redeveloping the original master plan to align with current municipal guidelines. 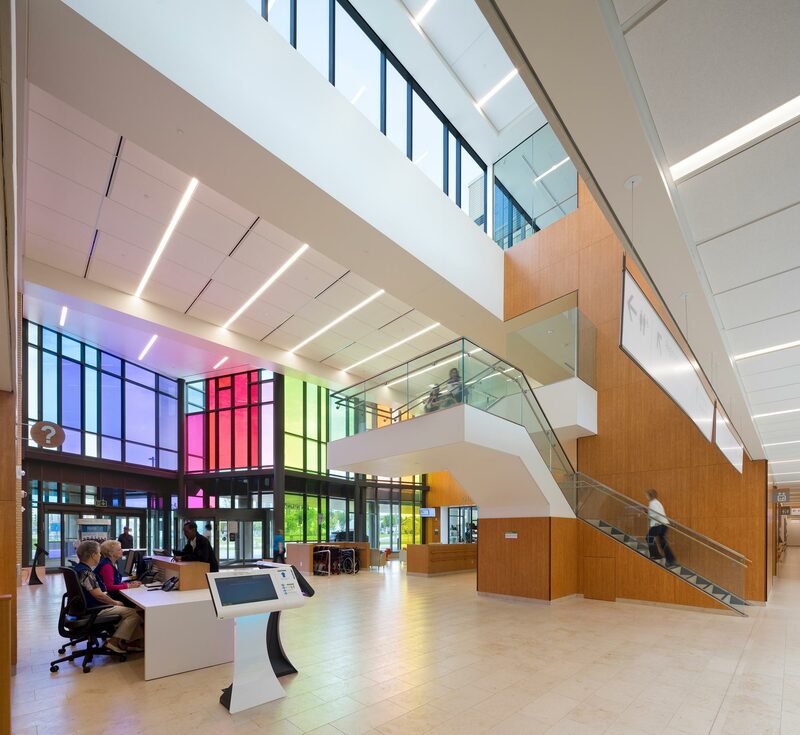 Together with the City, the design team developed a series of Urban Design Guidelines for the use of current and future phases of work on the site. A heavy emphasis was also placed on durability and longevity. 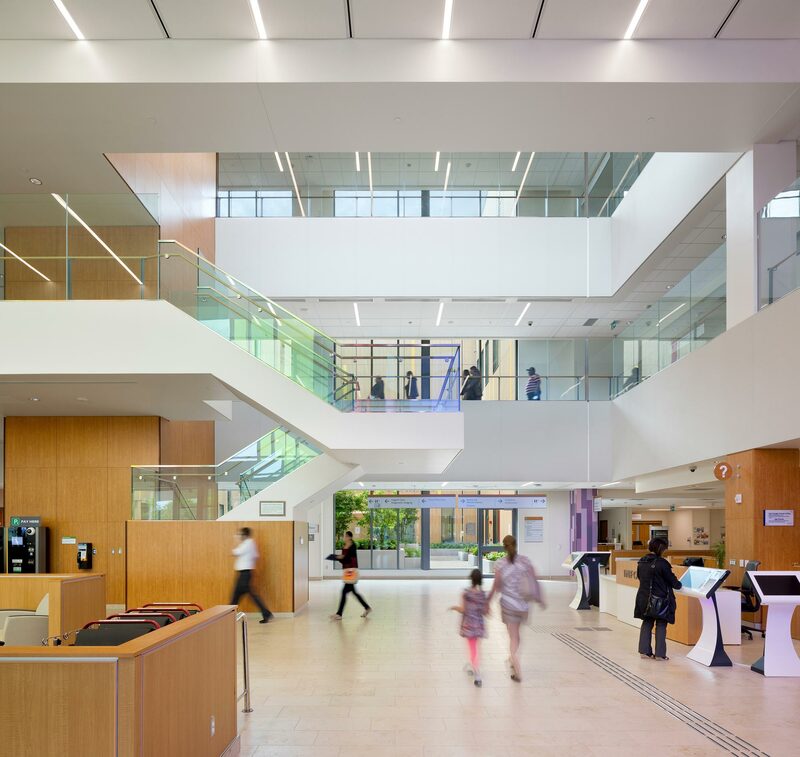 Extensive multi-year expansion diagramming allowed the design team to develop hard and soft space strategies and outline specifications that would respond to issues of scalability and accommodate changes in programming over the building’s projected life cycle. CannonDesign in joint venture with Montgomery Sisam Architects are the Planning, Design and Compliance architects. Diamond Schmitt in collaboration with RTKL Canada are the Architects of Record.